Misc: This build is more or less a proof of concept. None of the items shown are required. I was unhappy with the performance of current wander builds and wanted to show there is real damage potential with wanders. I would follow the other wander guides if you need a step by step intro and leveling guide. Shout Out: Malaugrym & Badbuild. Both of them helped theory craft as well as share and critique POB trees. 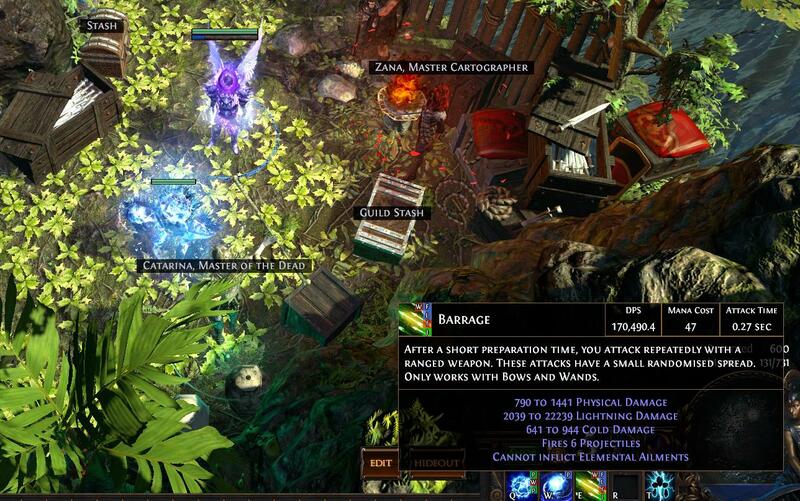 Barrage - You use this for single targets and bosses. 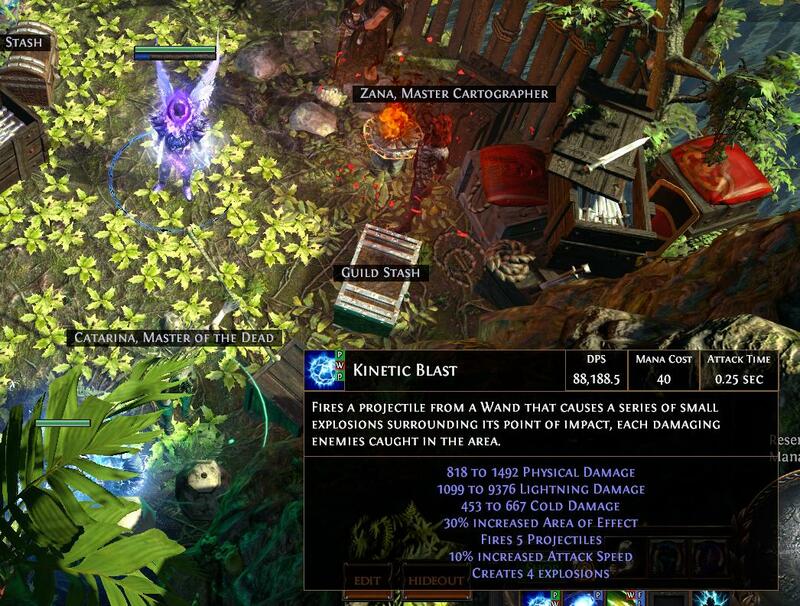 Kinetic Blast - You use this for trash mobs or packs of mobs. This build is a proof of concept and not so much a leveling guide. If you have success leveling you can message it to me and I'll add it here crediting you. The build is not reliant on any of the available options. You can take whatever you prefer. I took Soul Of Solaris. This is example gear and not necessarily what I'm currently wearing. Its kind of all over the place but gives you a general idea. Follow POB for proper gear or wait for me to update this with current gear. Good work Buddy <3 keep it up!! But don't you think starkonjas will be better than rats since your life is kinda low? Nice guide--glad to see wanders are still alive and well in 3.0! 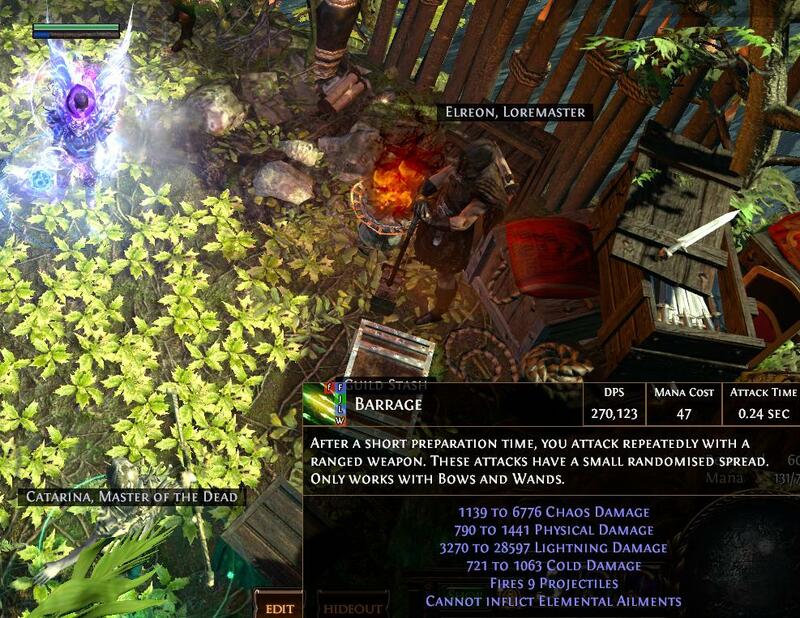 GG wanderer- does the tree only work for PHYS wander or do u need an optimized tree for a ELE wander? It's definitely and option and is something that will be included to the gear section once I do a breakdown with multiple gear options. I'm not using it due to budget restraints lol, +2 rats was cheaper. Current ele guides are pretty trash if you want top end damage. Take a look at Malaugrym's POB on the 3rd page. 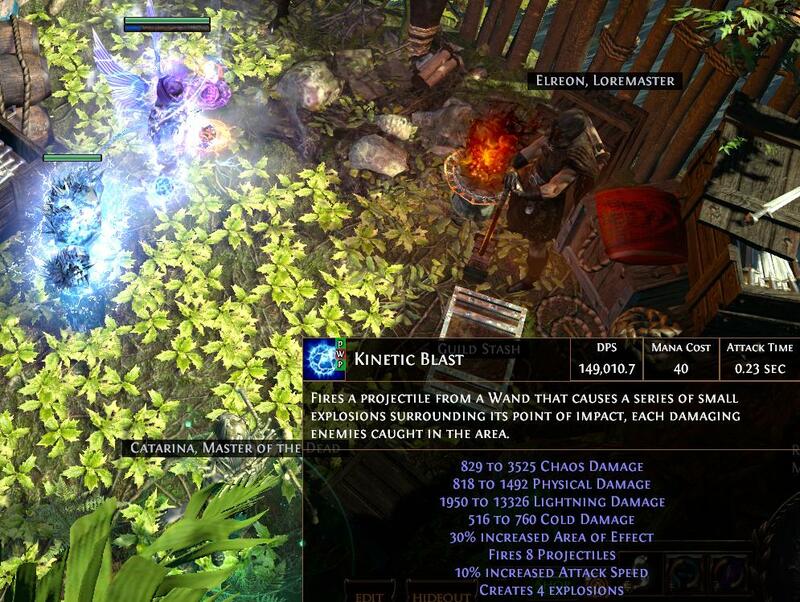 He used a ele wand with a modified build and was able to get 7mish damage. Cool post, awesome build, chill dude with flashy looks - what more can you want!